SMOOTHTOE® graduated compression socks are for everyone, they will make your feet and legs feel better by improving circulation. We guarantee you’ll like them or your money back. Not sure what SMOOTHTOE socks are for you? Let us help find the best socks for you. 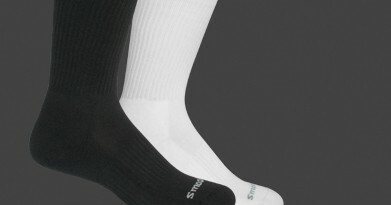 Looking for a more athletic style sock? 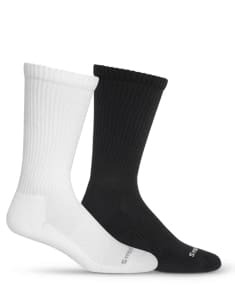 Check out our VO2FX line of socks. The same technology with a different look. 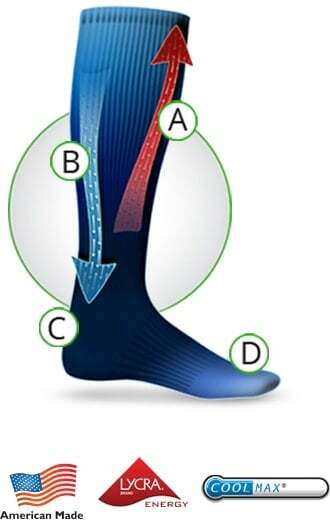 Graduated compression socks are clinically proven to increase circulation and prevent swelling. A. Stimulates blood flow back up the leg. B. Returns fresh oxygenated blood back down the leg. C. COOLMAX® moisture-wicking material helps keep your feet dry. 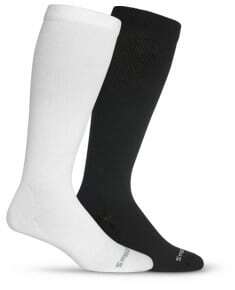 D. Seamless construction protects the feet from irritation due to rubbing. SmoothToe socks saved my feet! The compression socks are doing a great job for me! After about a year of wearing these socks, I have no intention of ever buy any others. 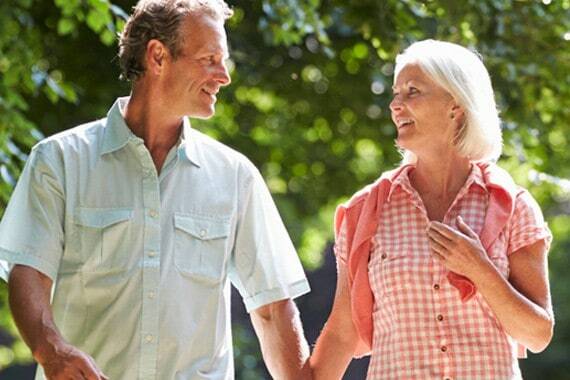 I have been a diabetic for 34 year and I have the complications arising from the disease. Smooth Toe socks are the only sock I have worn that I believe are actually improving my feet. During my In-Line-Skate Marathon…I got one pair of your socks and used them for the race and my feet did great. I had no irritation at all. Your socks stayed in place and seemed to keep from folding over and causing a blister. They were amazing. Your product is far more than a ‘diabetic’ sock. You provide the kind of comfort that I used to look for in plush, expensive designer socks, but until Smooth Toe, had never found. Every foot doctor would do well by their patient to offer and recommend them. Love them, will only buy SmoothToe from now on. I am a diabetic with Neuropathy and have tried the Smooth Toe socks. I am very pleased with the product and will continue to purchase more in the future. I’ve used many, but these are the best. So, so comfortable. Many thanks! Ultra comfort. I have seen a dramatic difference in my foot and ankle since wearing the socks. The pitting edema has decreased significantly. I love my SmoothToe socks. I’ve gotten rid of all my other socks and now I exclusively wear SmoothToe. I wear them every day, whether it’s for sports, exercise, work, class, or just for lounging around. My legs always feel great and I’ve never gotten a blister on my feet when I’m wearing them. Your sock has become a favorite of Brett Favre’s. Have to try these socks! I have worn each pair for one day…and find them to be the most comfortable of all these type of stockings I have worn in the past 17 years. Would you like to add a title to your submission? My legs are feeling good and in this cold weather they are also staying warm. They treat my feet and legs with comfort. Also, they have held up amazingly. I can’t tell you how many times they have been washed and dried and they STILL have their elasticity like the day I received them new. Very comfortable, looking forward to it helping with my plantar faciitis. THEY RELIEVED MY SWELLING IN ONLY 4 DAYS! I purchased 3 pair of these about 6 months ago. The BEST socks I have ever had on my feet. That’s why I ordered 3 more pair. These are the second pair I bought. The first pair I got at the doctor’s office. They work really well to keep the swelling down in my legs. I ran literally hundreds of miles over the summer in your socks. I think people who wear knee-high T.E.D or support socks would find this to be a nice alternative because it is comfortable, less hot and provides the same benefits as the T.E.D socks. This is the second pair that I bought. The first pair I got at the Doctor’s office. They work really well to keep the swelling down in my legs. I’ve been using your socks for 7 years. They are great. Ideal for the extended stay outdoorsman. This type of product is ideal for the extended stay outdoorsman. Someone hiking, biking, etc. for several days on end without the normal creature comforts. I can totally endorse these excellent socks. I would like to acknowledge the part SmoothToe socks have played in my life.. I like them alot, my legs require the compression stockings and these are super comfortable and my feet do not get wrinkled when I sweat as they wick away moisture. – Scott L.